If someone has forwarded you an email to join them at this conference, that's a pretty good friend! Enter the discount code in your email to join us at your friend's ATD-OC Member rate (40% discount)! 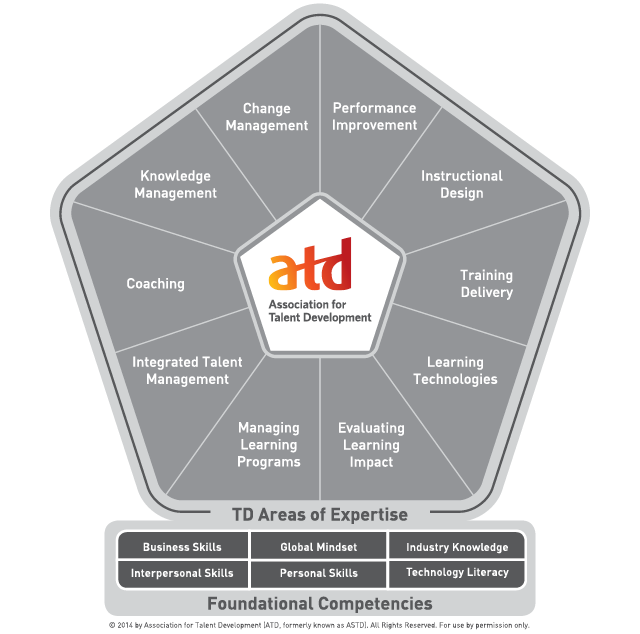 ATD Powermembers get the early-bird discount for an extended time! If you haven’t been to a Special Interest Group (SIG) meeting this year, you’re missing out on one of ATD-OC’s greatest member benefits! September’s meeting will be a “mini-conference” of at least three Special Interest Group leaders sharing their passion and experiences with you. Has your organization ever been ‘stuck’ when trying to go through a change? Don’t worry, you are not alone! Many groups have found themselves facing this challenge. The question becomes, can you get unstuck and successfully move forward or does it ultimately undermine your ability to be successful? Learn how to understand the psychological transition employees experience so that you can help them get un-stuck. Many articles have argued about the need for L&D to provide more value. They cite concerns that C-Suite Executives don’t believe L&D truly understands their business. Are we having the impact we should on our organization’s goals? Do you provide value to the business or are you a “Training Fossil”? What questions do you need to be asking managers when they are suggesting a training course? All attendees will receive a “Training Value Questionnaire” to help you get focused on training value. Our learners use visuals in training to help them learn, remember, and later apply information. So as we incorporate graphics into our training content, it won't do just to select any stock photo. Each image, as well as each word, must support a learning objective. How can you include graphical assets in your training that remain relevant? Kimberly Goh will share a resource that she uses -- Canva -- and a technique that helped learners in her eLearning module better connect procedural best practices to job expectations. Bring your laptop (or tablet) and follow along! Dr. Cynthia Boccara will have you on your feet to learn how to exude confidence, gain authority of the room and have them want you back again and again! Learn the single biggest thing you can do to establish credibility and connect to your audience. Get to know Your Special Interest Groups! We seek to update our member's knowledge of relevant industries and industry segments.